North Carolina’s game wardens work for the state’s Wildlife Resources Commission and are known as wildlife enforcement officers. One of the persistent problems they face is the illegal hunting of black bears, and state and federal game wardens have worked undercover in tandem to stop illegal poaching rings. Wildlife enforcement officers in North Carolina also serve as certified law enforcement officers. This means that in addition to their duties protecting wildlife, these officers support local law enforcement agencies during emergency situations. North Carolina’s game wardens also interact with the public. This can range from issuing hunting and fishing licenses to education programs designed for students and members of the general public. While the job of a wildlife enforcement officer offers many challenges, it is also highly rewarding. Therefore, many individuals with a passion for conservation and law enforcement are drawn to the field. These jobs are highly competitive, so applicants who have a thorough understanding of what the Wildlife Resources Commissions is looking for will be better able to showcase their relevant skills. Read on to learn more about the process of becoming a wildlife enforcement officer in North Carolina. North Carolina’s diverse natural resources range from the marine environment along the Atlantic Ocean to high mountains in Appalachia. This means that the state’s wildlife enforcement officers must be highly knowledgeable about a range of animal and plant life, and the best ways to protect these species. The combination of an in-depth knowledge of conservation and law enforcement skills requires extremely talented candidates. All applicants must demonstrate their experience and skills to be considered suitable candidates for these jobs. Age: 20 years of age or older is required at the time of the admission exam. 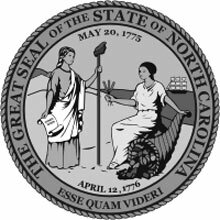 Citizenship: Proof of U.S. citizenship or of permanent resident alien status and has applied for citizenship; must be a citizen at time of appointment and a resident of North Carolina. License: A valid North Carolina-issued driver’s license is required. Individuals must agree to participate in driver training programs through the state as they arise. 19 weeks at the North Carolina Justice Academy in boot camp type structure. Vision: Visual acuity not less than 20/30 in each eye without correction and corrected to 20/20 in each eye. Normal color vision and possessed of a peripheral field of view Physical Readiness: The applicant must be in sound physical condition and able to swim. Applicants must successfully complete each component of the physical readiness testing. North Carolina’s Labor & Economic Analysis agency reported that wildlife enforcement officers earned an average salary of $39,210 ($18.85/hour) as of 2016. Experienced officers averaged $43,220 ($20.78/hour), while wildlife enforcement officers just starting out earned an average of $31,190 ($15.00/hour).